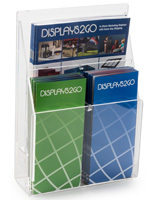 This adjustable literature holder dispenses supplemental marketing materials to prospective clients. 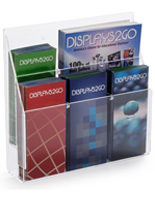 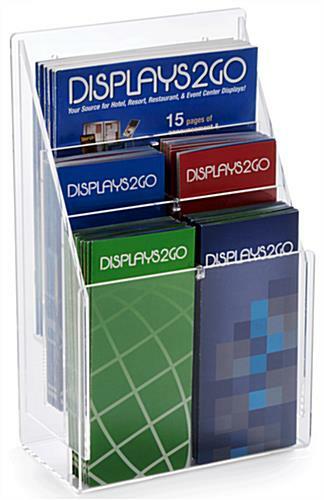 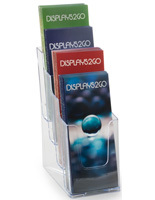 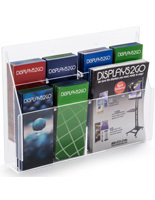 This plastic pamphlet display comes with peg dividers to expand presentation options from three to six sections. 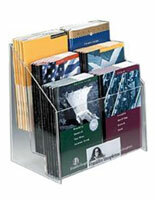 Mount this literature holder, also known as a brochure mount, to a wall or desktop using the accompanying hardware. 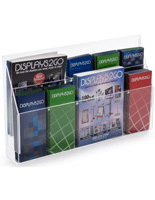 Whether your promotional materials are trifold, newsletter, or magazine-style, this rack is your go-to for organizing them! 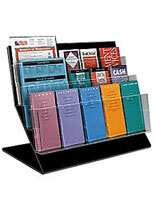 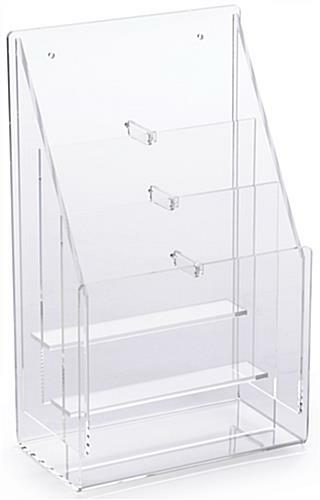 Buy this literature holder in bulk for amazing discounts! 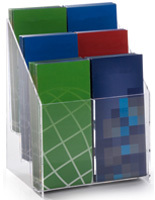 9.3" x 15.5" x 4.8"